You are here: Home Alexander-von-Humboldt-S. 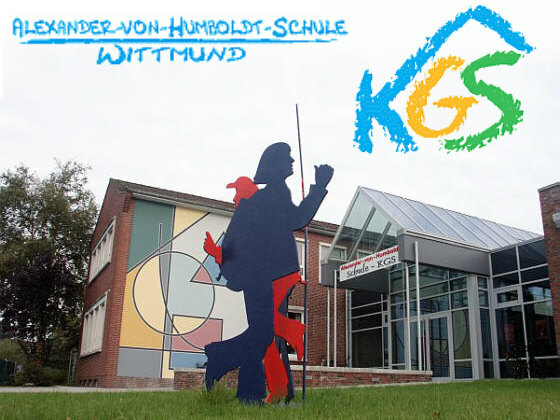 The Alexander-von-Humboldt-Schule has about 1700 students from the 5th up to the 12th class at the age of 10 to 18 years and 130 teacher. The school is a Secundary Cooperative Comprehensive School with a three Class System. In some disciplines like sports, arts and musics, the three different school types Gymnasium, Real School and Middle School work together; with three different classes; three teachers mix three groups of students. So it is a cooperative working of all three kinds of classes. The School is in the northern part of Germany in "Ostfriesland" ([[East Frisia]]) nearby the Northsee. [[Wittmund]] is a small town with about 20.000 inhabitants. The Alexander-von-Humboldt-Schule is member of the Committee Europe since the establishment in 1990. 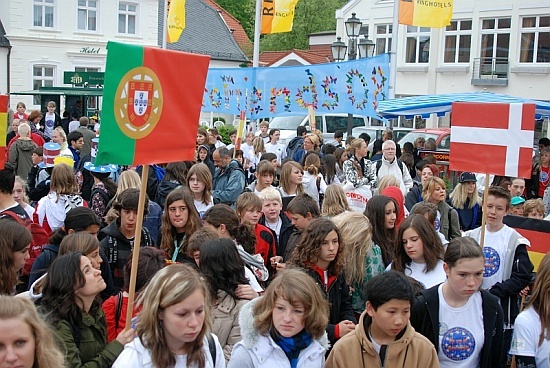 There were three events in Wittmund, 1994 the EuroGames and 1996 the EuroTheatre and in 2008 the Alexander-von-Humboldt-Schule in Wittmund was venue of the EuroFriends 2008. And now we start the new project "EuroWater" in Wittmund. More pictures of the event EuroFriends 2008 you can find on PICASA.